Facebook has moved from a way to connect with personal contacts to a way for businesses to contact current customers and build relationships with new clients. However, for a business page to be successful, you not only need to get your current customers to like your page, but also attract new followers to it. Your business’s Facebook page, just like all other promotional media, should provide your followers with useful information and be a strong representation of your business. In order to get more “likes”, there are a few pointers that you should keep in mind in order to bring more “likes” to your business’s Facebook page from both current and new customers. Making a like worthwhile doesn’t have to be expensive. Some businesses give new followers a coupon code or enter them into a monthly drawing for a free product or service. If you choose to not have a give-away for new likes, you must make the information you post valuable to your followers, not just constant commercials for your business. Most people have a great deal of information on their Facebook feed so you will make them want to like your page. In other words, there should be some value your followers receive from liking your page, whether it is coupon, an entry in a drawing, or just useful information. Business pages that don’t provide followers with some sort of value end up losing followers and potential clients due to not fully using Facebook to their best advantage and flooding their followers’ pages with useless information. Don’t forget about your old friends. While it is important for your business page to be “liked” by new people, you need to remember that your current followers are just as important to your business. Many businesses will have a drawing or a coupon for customers who like their Facebook page. However, if you want your Facebook page to help grow your business, you need to remember your current followers while getting new ones. Some businesses have two offers running at the same time, one for new followers and one for current followers. In this way, no one feels neglected or unimportant to your business and you will keep your old followers as well as adding new ones. You also will be sending the message that you value all your customers, which can generate more likes by your current followers recommending you to their friends due to your business’s loyalty to their customers, both old and new. For your page to operate at its optimal level, you must update it frequently and make the updates meaningful to your followers. In many cases, Facebook posts are short bursts of information so you need to be sure that your posts are short, informative, and deliver some sort of value to your followers. While you want to keep your page up to date, you don’t want to update so often that you are flooding your followers’ feeds with posts. Businesses that update once a week will keep their followers up on news without making them feel overwhelmed with posts. If there is big news in your business, such as a new product or another major announcement, by all means it should be announced even if you have already made your weekly post. On any promotional materials you have created for your business, from print ads to business cards, you should have your Facebook page address on it. Your Facebook address should be on your company’s website and prominently displayed in your office or storefront location. If you choose to have a promotion for new likes, be sure to promote it everywhere with your Facebook address. However, you need to remember that not everyone has a Facebook page, so you should be sure to keep up your other promotions, using Facebook to augment your efforts, not take them over completely. Effective cross-promotion doesn’t take extra money, just extra planning. However, before you start promoting your Facebook page on other promotional materials, be sure it is up to date and presents a positive image of your business. You don’t want potential followers to go to a page that hasn’t been looked at for months, has outdated or useless content on it, or isn’t kept up in the most professional manner. Your Facebook page is an extension of your business and should be kept up in the most professional, businesslike manner possible. Keep your personal life off your business’s Facebook page. If you keep a personal Facebook page, you should keep it as isolated as possible from your business page. Nothing can derail any progress gained through a Facebook page faster than the page being unprofessional in content. 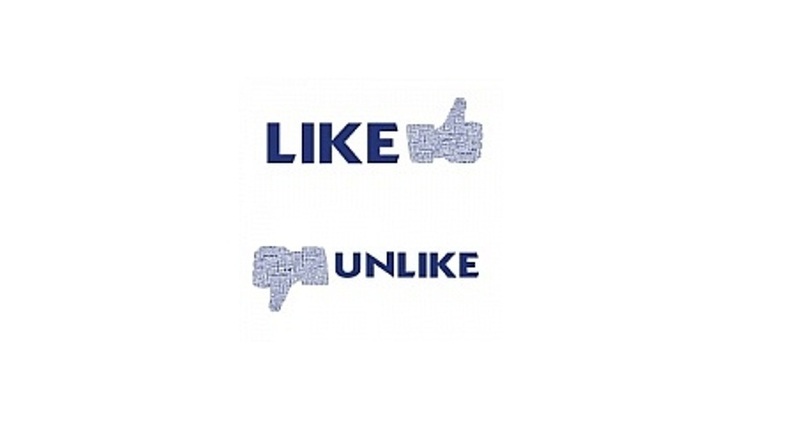 Remember, the purpose of your business’s Facebook page is to bring more business through gaining likes and followers. It is not a place where you should be posting personal information or photos that may make your business seem questionable or unprofessional. Before posting information, you must ensure it is focused on your business and is the image you want portrayed of your business in the public eye. When something new is happening with your business, such as a new product or a location expansion, your should consider addition a photograph to your Facebook page to give your followers a visual as well as written information about the changes. Photos that are posted should be well-lit, clear, and properly framed. If at all possible, keep people out of your photos so the focus is on the product or location. Remember that everything that goes on your business’s Facebook says something about your business as a whole. By being attentive to the photos you post, you are demonstrating your commitment to your business as well as showing that you are willing to go the extra mile to be consistently professional with all aspects of your business’s image. For many people, this attention to detail translates into a commitment to providing customers with superior products and service. Your business’s Facebook page can provide you with another way to reach your current customers as well as introduce new followers to the products and services you can provide them. By keeping your Facebook updated and professional, you also will give new followers a positive overall impression of your business. Businesses in today’s marketplace need to be aware of using social media like Facebook to help grow their audience and their business. Using Facebook as an effective promotional tool can help to grow your business’s reach, one “like” at a time. Previous Post: « Where Can A Career in Event Management Take You?